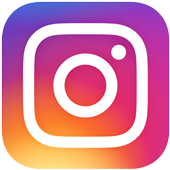 Home › Stories › Her 6-Year-Old Son Walked Up To A Table Of Police Officers. What He Did Next Stunned Everyone! Her 6-Year-Old Son Walked Up To A Table Of Police Officers. What He Did Next Stunned Everyone! In the crazy world we live in today, it's impossible not to worry about our future generation. 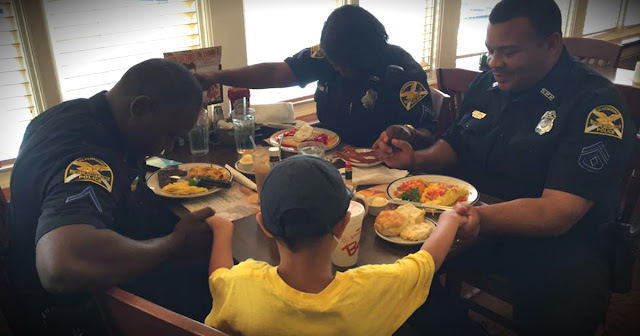 But photos like this one of a 6-year-old boy praying for several police officers gives me so much hope! 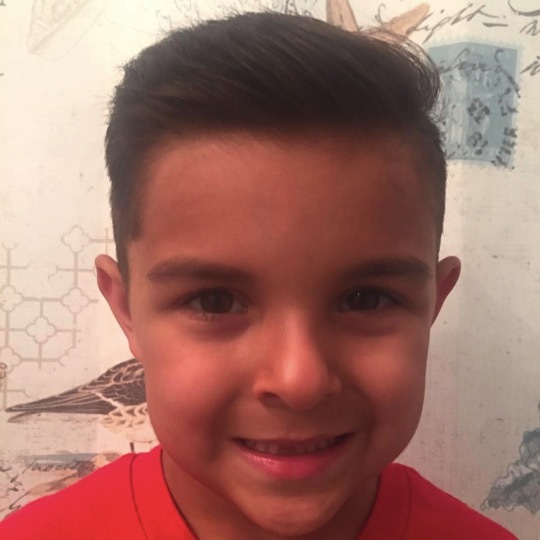 The sweet little boy praying is Joshua Garza. After completing his morning swim lesson, Joshua and his mom, Kelly, stopped for breakfast at Bob Evans -- Joshua's favorite. While there, the restaurant manager stopped at a table of officers from the St. Petersburg Police Department. The manager shook their hands to thank them for their service. And this inspired the little cutie to find his own way to say thank you. When Kelly and Joshua got up to leave the restaurant, her son marched over to the table where the officers were dining. The sweet boy asked if he could pray for their protection. Though she hadn't expected this move, Kelly said it wasn't surprising behavior for her son. "He likes to pray at church, he's a big prayer warrior," says his mom. The proud mama stood back, so as not to interfere. Her heart melted as her precious son concluded the prayer with, "And please help us all to live a good life. Amen." Kelly snapped a photo of the little boy praying with the police officers, and shared it on Facebook. Not surprisingly, the touching scene promptly went viral and many praised Joshua for being so bold in his faith. 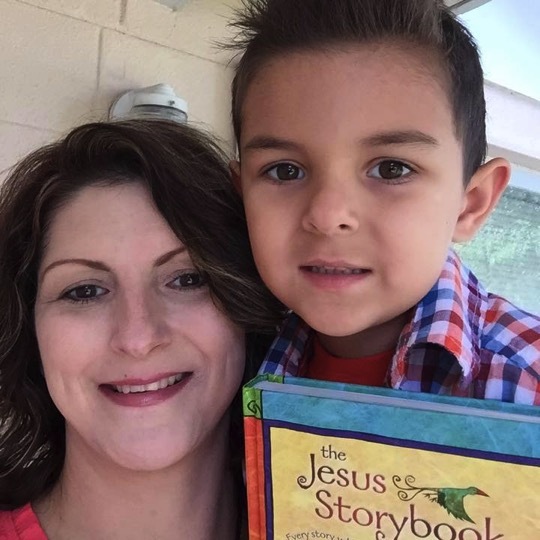 "Joshua is being brought up in a very loving church, where he has learned that it's ok to share his faith and that it's an act of love to pray for others," Kelly explained. As for the police officers, they said they were honored to have the little boy pray for them. So often as adults, we let fear hold us back from doing what the Lord calls us to do. But the boldness of this little angel is a beautiful reminder of what it is to truly live out our faith! "On the day I called, You answered me; You made me bold with strength in my soul." 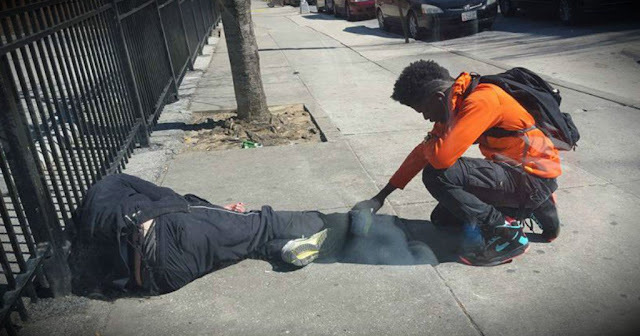 A police officer was blown away when he witnessed a teen doing this over a sleeping homeless man!